The MCE Insurance British Superbike Championship comes to town this weekend, as the second round of the season takes to Brands Hatch. 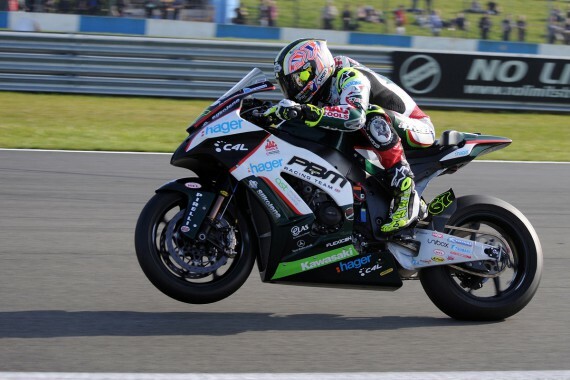 All eyes will be on defending champion Shane ‘Shakey’ Byrne as he goes into the weekend leading the championship, having taken a win and a second place at Donington Park. The now veteran from the Isle of Sheppey will be under threat from a racey looking James Ellison and Ryuichi Kiyonari who will surely be challenging for victories, after a disastrous opening weekend of the season. Speaking ahead of the weekend, Byrne said: “It doesn’t seem like five minutes ago I was thinking about if I could even ride at the Donington Park test before the first round after my injury, so Donington exceeded any expectations I did have. To come away with a second place and a win, knowing that I can only get stronger as my injury improves, means I am quietly confident of achieving more of the same at Brands Hatch. There is more local interest than just Shakey for the fans at Brands Hatch to cheer on this weekend, with Howie Mainwaring-Smart on the Quattro Plant Kawasaki from Aylesford. Howie will be hoping that he can compete at the front end of the grid, after a slow start to the season at Donington Park, and Brands Hatch is a track he knows well and has won on. You might not see him on track but Tommy Hill will be there managing his new team, BeWiser Kawasaki and their racers Chris Walker and Danny Buchan, both of whom looked right on it in the opening round of the season. 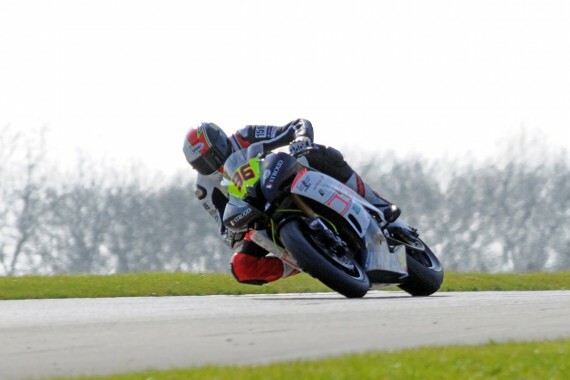 In the support series there is also plenty of interest, with the Supersport series currently being led by Dover’s Jake Dixon, he will be hoping that he can take victory in front of his home supporters this weekend. Danny Webb from Tunbridge Wells is also competing in the Supersport class, as is Dixon’s Cousin Ryan in the Evo class. The Superstock 600 grid is one of the busies in the paddock with around 50 bikes all vying for 40 spots at the last round, in which Ross Twyman and Tom Ward both impressed. Chris Threadgill will be hoping that recent testing will help him at his home track and cracking that top 40. This entry was posted	on Wednesday, April 15th, 2015 at 9:00 am	and is filed under Featured, Motor Racing. You can follow any responses to this entry through the RSS 2.0 feed. Both comments and pings are currently closed.